There's many big changes done to the sample project today! First, let's talk about the bug fixes. Merchant's Hired Help, Dancer, was bugged with the wrong element. For Boost Points, <BP Regen: +x> notetag is fixed! These are now fixed and working! Death BP Regen now works properly. Battle Effects popups now clear properly. Break and Weak Popups can now be altered by Y plugin parameters. There are also new compatibility updates with Yanfly's plugins. Yanfly's Buffs & States Core <Custom Action End Effect> notetag now works properly with OTB. Yanfly's Actor Party Switch also now works with OTB! Some new notetags are added to OTB! Add x actions to the current turn or the next turn for the user. 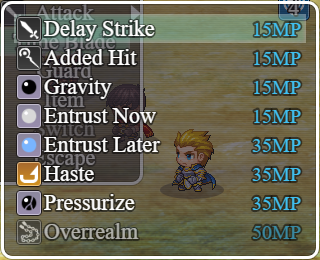 This will only be added once no matter how many times the battler hits the target. Add x actions to the current turn or the next turn for the target. If the target is targeted multiple times, the target will gain actions multiple times so please be cautious when using this. 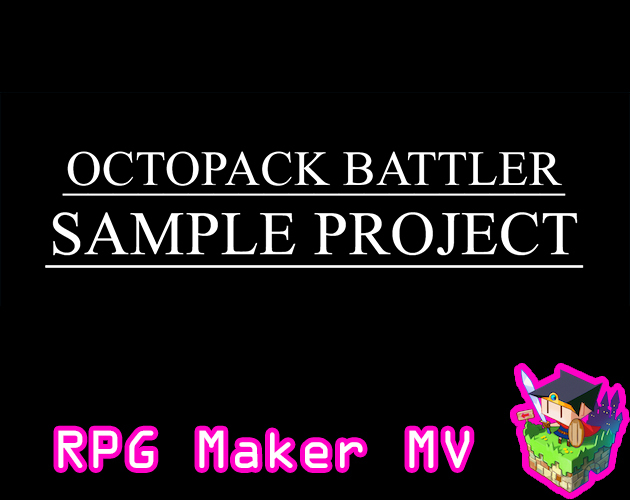 And finally, we have a new job, custom made for the sample project that isn't from Octopath Traveler: the Time Blade! The Time Blade is a class that manipulates the turn order and produces other various cool effects! Using the Time Blade, you can control the flow of battle by delaying actors, adding actions to allies, inflicting damage based on their current HP or their position in the turn order! And if that isn't enough, the Time Blade's ultimate allows the user to gain additional turns during the current turn! 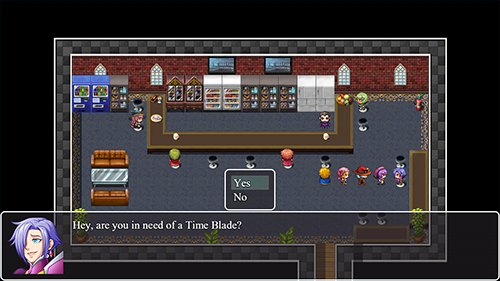 If you want to add the Time Blade to your party, you can find her in the bar in the sample project! It's a very big update! Take your time exploring the new features!